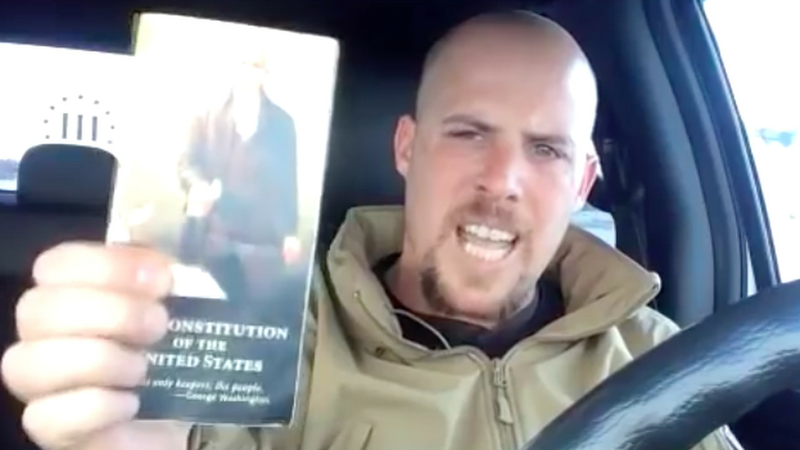 This is Jon Ritzheimer. And he proves a point. Whoever holds up a copy of the Constitution when speaking, knows nothing of its contents. As the TWP notes succinctly. Public reaction to this latest round of libertarian posturing has been much more hostile than in the other cases. After the use of the National Guard against the black protesters in Ferguson, Missouri, Baltimore, Maryland, and other locations, many comments have been seen in mainstream media and social media pointing to the irony of the mailed fist of local and state governments used against the immiserated inner cities, while white supremacists brandishing assault rifles are allowed to intimidate whole communities and claim to have federal premises under their exclusive control.